For seniors struggling with Alzheimer’s, things that once came naturally can become a daily challenge. Difficulty with these tasks can lead to feelings of anger, depression, and isolation in seniors. However, there are certain steps family members and caregivers can take to promote the dignity of seniors with Alzheimer’s disease. The following are three ways to help promote your senior loved one’s self-esteem, presented by a leading provider of senior home care in Harrisburg. When you are a family caregiver, you might sometimes find yourself getting overwhelmed or irritable with your senior loved one. While seniors with Alzheimer’s face some cognitive challenges that make performing everyday tasks difficult, they are still able to detect annoyance and impatience. Instead of snapping at your loved one or trying to take over when he or she begins having difficulty with a task, try gently guiding your loved one to help him or her remember. This way, you can help promote his or her feelings of independence and accomplishment. A very basic organizational system can help give seniors with Alzheimer’s an opportunity to relearn something simple, like where certain foods belong. Color-coded signs and cards can also warn your loved one to avoid touching something, like a hot surface, or remind him or her of tasks he or she needs to do, like making a phone call. A professional Harrisburg Alzheimer’s caregiver may also be able to develop a system that works well for your loved one. This way, your elderly loved one can regain or maintain a level of independence by performing small tasks. No adult likes the idea of someone else choosing all their meals and all their clothes, so be sure to never eliminate opportunities for your loved one to make decisions. Though seniors with memory loss cannot make certain choices about their care, allowing your loved one to make simple decisions about daily tasks can make him or her feel good. Try letting your loved one choose his or her outfit or meals every day. While these are small choices, being allowed to make these kinds of decisions can encourage your loved one’s feelings of confidence and dignity. Alzheimer’s and other memory conditions like dementia can make living alone challenging and dangerous for seniors. If you’re concerned about your elderly loved one’s safety at home, consider hiring an expertly trained Alzheimer’s or dementia caregiver in Harrisburg. 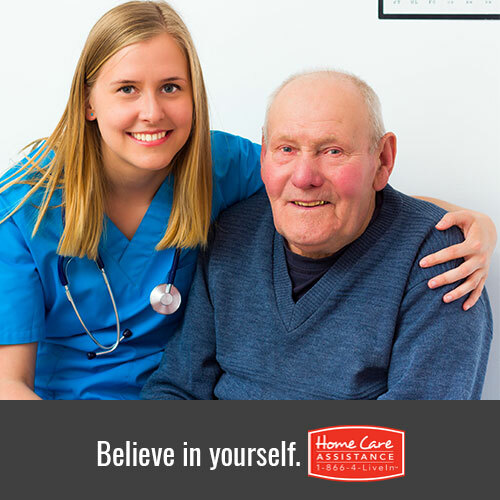 At Home Care Assistance, our caregivers provide 24-hour safety monitoring, medication reminders, and assistance with other daily tasks to ensure your loved one is comfortable and secure at home. Schedule a complimentary consultation or speak with a knowledgeable Care Manager by calling (717) 540-4663 to get more information.